I just love her design and the simple colour theme – so effective. Thank you Ruth – I love it! 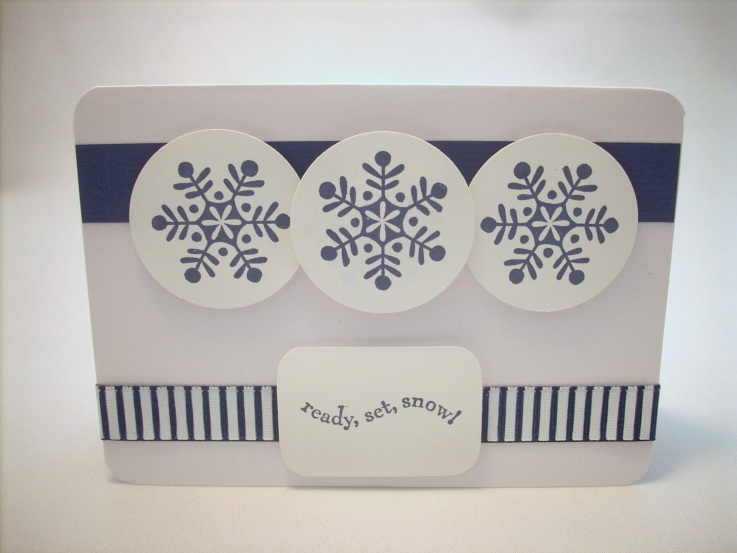 Cardstock: whisper white, night of navy; Inks: night of navy; Stamp set: best wishes and more (retired); Punch: 1¾” circle; Accessories: stampin’ dimensionals, Ruth’s own ribbon. Posted on January 12, 2011 at 7:00 am in Christmas	| RSS feed You can skip to the end and leave a reply.